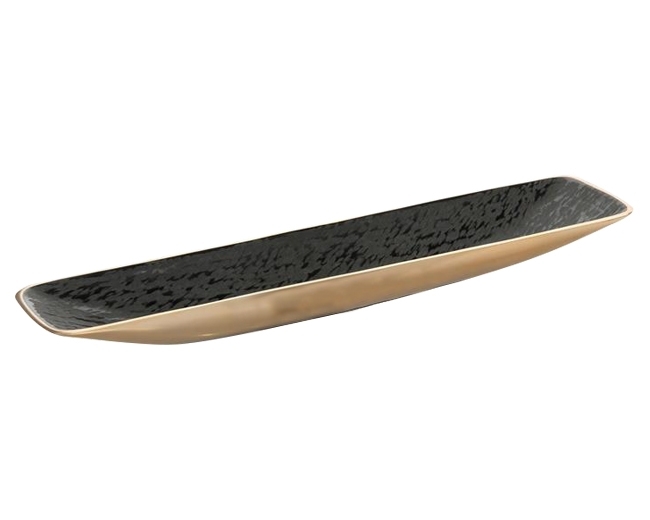 A large tray in black leather enamel and gold. 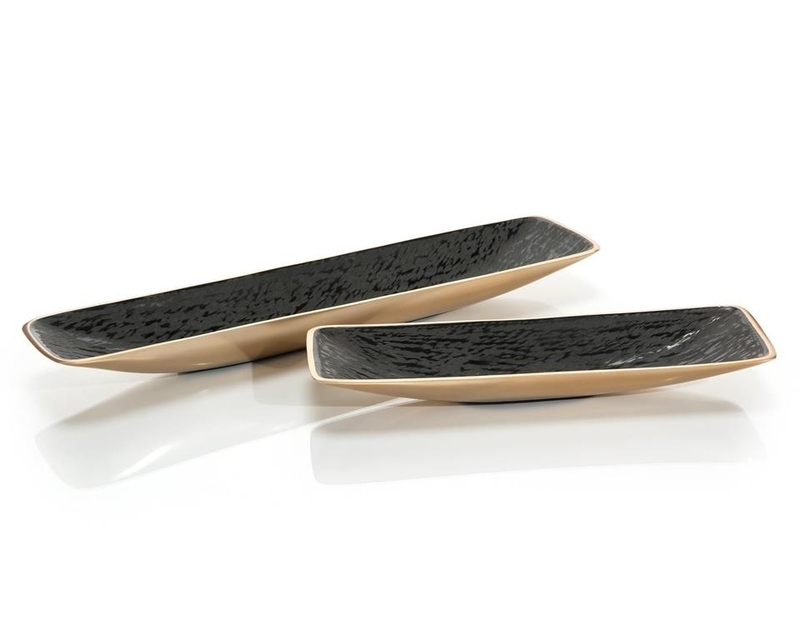 This striking new black enamel finish has been scored to mimic leather. H 2.25" x W 22" x D 4.75"